Well now this is a question that I think is probably best left out of the program, because the vast, vast majority of New Testament scholars would regard Matthew's guard story as unhistorical. I don't look to NT scholars to tell me what really happened. They don't know something I don't know. They don't have an independent source of knowledge. They weren't there. They don't know anybody who was there. They have the same source of information I have. Even if we bracket the inspiration of Scripture, who's more likely to know what happened–a scholar writing 2000 years after the fact, or a 1C author of a 1C Gospel? Matthew is in a far better position to know what he's talking about than "scholars" who are 2000 years removed from the events. I can hardly think of anybody who would defend the historicity of the guard at the tomb story. It's incredible that Craig would say that. Just off the top of my head, scholars who defend the historicity of this account include Darrell Bock, Craig Blomberg, D. A. Carson, Knox Chamblin, R. T. France, Craig Keener, Leon Morris, John Nolland, Grant Osborne, Robert Stein, David Turner, David Wenham, and N. T. Wright. I can't quite tell what C. A Evans' position is, but he takes the account seriously enough to supply a lot of corroborative material. And the main reasons for that are two: One is because it's only found in Matthew and it seems very odd that if there were a Roman guard or even a Jewish guard at the tomb that Mark wouldn't know about it and that there wouldn't be any mention of it. i) I find Craig's objection very odd. Our primary evidence for what Mark knew is what Mark recorded. Although Mark may well have known some things he didn't write down, the only hard evidence we have of what he actually knew is what he actually wrote. By definition, whatever else he may have known he kept to himself. ii) Moreover, why assume that he would have included this incident in his gospel even if he knew about it? The gospels are selective accounts. Maybe it didn't interest him. Maybe it didn't interest his target audience. iii) Conversely, Matthew, Luke, and John all record things you don't find in Mark. So why would this be exceptional? The other reason is that nobody seemed to understand Jesus' resurrection predictions. The disciples - who heard them most often - had not an inkling of what he meant and yet somehow the Jewish authorities were supposed to have heard of these predictions and understood them so well that they were able to set a guard around the tomb. And again, that doesn't seem to make sense. That fails to distinguish between what the disciples understood and what the disciples believed. Although the disciples sometimes misunderstood Jesus, oftentimes their problem was not a failure to understand him, but a failure to believe him. They found many things he said hard to believe. This is a common theme in the Gospels. Jesus frequently reprimands the disciples for their lack of faith. So, most scholars regard the guard at the tomb story as a legend or a Matthean invention that isn't really historical. Fortunately, this is of little significance for the empty tomb of Jesus, because the guard was mainly employed in Christian apologetics to disprove the conspiracy theory that the disciples stole the body. It may not be significant to Craig, but it's clearly significant to Matthew. And shouldn't Christians calibrate their faith by Matthew rather than Craig? But no modern historian or New Testament scholar would defend a conspiracy theory, because it's evident when you read the pages of the New Testament that these people sincerely believed in what they said. So, the conspiracy theory is dead, even in the absence of a guard at the tomb. Unbelievers regard any naturalistic explanation, however unlikely, as more likely than a miracle. The true significance of the guard at the tomb story is that it shows that even the opponents of the earliest Christians did not deny the empty tomb, but rather involved themselves in a hopeless series of absurdities trying to explain it away by saying that the disciples had stolen the body. And that's the real significance of Matthew's guard at the tomb story. But if the account is unhistorical, then how is that account a historical witness to belief in the empty tomb? i) To some extent, Craig's position is surprising. After all, he used to defend this very account. However, that was about 30 years ago, so maybe he's changed his mind. ii) But at another level, this is consistent with Craig's apologetic strategy, which stresses scholarly consensus and a minimal facts approach. iii) However, Craig's reply seems to go beyond apologetic strategy. He doesn't seem to be confining himself to a hypothetical fallback position. He isn't merely saying that even if, for the sake of argument, this account is fictitious, that would still be of "little significance" because it doesn't impinge on the core facts about the Resurrection. Rather, he seems to be openly denying the historicity of the account. Richard Dawkins and Lawrence Krauss are two of the most important figures in the New Atheist movement. So one would naturally have high expectations that their new documentary, The Unbelievers, would present a vigorous, powerful attack upon the rationality of religious belief, featuring interviews with impressive scientists laying out the case against God. Instead, the film turns out to be merely a travelogue of Dawkins and Krauss’ “magical mystery tour” of speaking engagements before their enthusiastic fans. Rather than thought provoking, the film is shallow, boring, and narcissistic. So instead it fell to five out of nine judges, which means it fell to Anthony Kennedy, because he’s the guy who swings both ways. Thus, Supreme Intergalactic Emperor Anthony gets to decide the issue for 300 million people. It’s good to have President Clinton’s animus against gays finally exposed by Anthony Kennedy. There’s a famous photograph of him taken round the time he signed DOMA, at a big fundraiser wearing that black-tie-and-wing-collar combo that always made him look like the maître d’ at a 19th-century bordello. He’s receiving greetings from celebrity couple Ellen DeGeneres and Anne Heche, who’d come out as gay the week before and, in the first flush of romance, can’t keep their hands off each other even with President Happy Pants trying to get a piece of the action. For a man motivated only by a hateful need to harm gays, he’s doing a grand job of covering it up, looking like the guy who decided to splash out for the two-girl special on the last night of the sales convention. Nevertheless, reacting to the Supreme Court’s decision, President Clinton professed himself delighted to have been struck down as a homophobe. Many Bible commentators, including otherwise conservative commentators, classify the young demoniac in the Synoptic accounts (Mt 17:14-20; Mk 9:14-29; Lk 9:37-43) as epileptic. A prima facie problem with their diagnosis is that the Gospels attribute his condition to demonic possession. One reservation I have is that being a NT scholar doesn't make one an expert on epilepsy. All we're getting from the commentators is their amateur understanding of epilepsy. In addition, the boy has other symptoms which don't seem to be attributable to epilepsy. He's a deaf-mute. And his father says the evil spirit tried to make the boy drown himself or burn himself to death. To be sure, we should make allowance for the fact that this is the father's impression. Jesus doesn't say that, or the narrator. Still, the fact that Jesus exorcizes the boy to some degree endorses the father's interpretation. It's often said that there's no significant difference between the Democratic and Republican parties. People who don't vote or who support a third party candidate often make that claim. I've addressed the subject many times in the past, but I want to point to an illustration that's currently prominent in the news. Think of the progress the movement toward homosexual marriage has made in recent years. Which party has, by a wide margin, been more responsible for that change? Think of the significance of Barack Obama's endorsement of homosexual marriage last year. Think of the long list of individuals and organizations who followed his lead, and ask yourself which party they were primarily affiliated with. The Republican party may change its position on homosexual marriage in the future. If it does, that change won't alter the fact that there had been, and still is, a significant difference between the parties on homosexual marriage. And the future lack of difference, if there's going to be a lack, will be hastened by people who don't vote or who vote for a third party candidate for no good reason. In light of yesterday's Supreme Court decisions related to homosexual marriage, here's a three-part series I wrote on the subject earlier this year: part one, part two, and part three. Opponents of homosexual marriage need to stop being so secular, subjective, and defensive. They need to include more religious argumentation in their case, argue for their religious views rather than just describing them, stop putting so much emphasis on appeals to tradition and opinion polls and other factors that are so subjective, and go on offense far more than they have so far. I address some of these issues in my series linked above. One of the resources I cite there is Dan McLaughlin's article on the differences between heterosexual and homosexual relationships. If you haven't read the article yet, I recommend doing so. 1) Providential exposure: the books which God has inspired as Scripture will be available for Christians to examine. 2) Attributes of canonicity: Divine qualities, corporate reception, and and apostolic origins. 3) Internal testimony of the Holy Spirit. The author says that the[se] ‘attributes of canonicity’ are mutually reinforcing. While Kruger “does not attempt to convince skeptics that the Bible is the Word of God”, he makes the firm case, “from the Scriptures themselves, as well as evidence from history”, that the Bible, especially the New Testament, contains precisely the books that God intended. Rome asks us to accept its authority because it is the Roman Catholic Church. In other words, Rome’s authority is self-authenticating. Yet Catholics criticize Protestants for claiming that the Scriptures are self-authenticating. 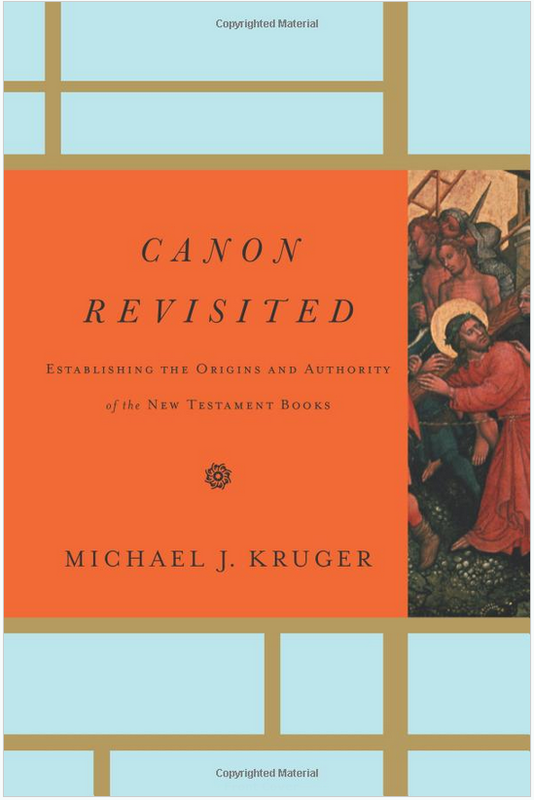 Kruger asks us to recall that the first Christians had a canon even before the New Testament was written. 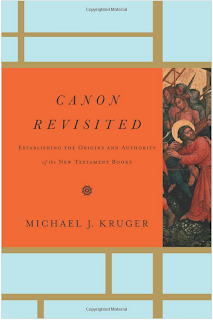 Their canon was the Old Testament, which “seemed to have existed just fine before the founding of the Church.” So the first Christians had no trouble recognizing the books of the Old Testament as Scripture, without an external authority such as Rome giving its imprimatur. This was only possible because the Old Testament books were self-authenticating. You can check out some articles I wrote earlier on this work, and also the “Kruger vs Ratzinger” series that I wrote on the topic of “which came first, “the Church” or the Scriptures? Please note: You can share Triablogue and “Canon Revisited” with your friends and relatives by clicking on the “social media” buttons below. If you reference @triablogue on Twitter, we’ll be able to re-tweet your tweet! Of course, Facebook will enable you to reach all your family and friends, and Google+ is helpful for building search engine rankings. Thanks! John Currid and James Hoffmeier document what they take to be parallels between Gen 1-2 and Mesopotamian or especially Egyptian creative motifs. Cf. J. Hoffmeier, “Some Thoughts on Genesis 1 & 2 and Egyptians Cosmology” JANES 15 (1983); J. Currid, Ancient Egypt and the Old Testament (Baker 2001), chap. 3.
i) Seems to me their methodology is fundamentally flawed. You take Gen 1 as your framework, then ransack disparate Mesopotamian and Egyptian sources, chipping off or peeling away bits and pieces, which you then fit into the Gen 1 framework. But that’s an ersatz scholarly construct. The parallel creation account doesn’t exist in any actual Egyptian or Mesopotamian source. It’s the modern scholar, and not an ancient Egyptian or Mesopotamian writer, who edited them into that extraneous framework. Moreover, when you glean isolated bits and pieces and rearrange them, you change the meaning. You recontextualize them. ii) I wonder if hieroglyphics aren’t somewhat ambiguous. iii) If the Bible did use familiar idioms or stock metaphors, that wouldn’t be surprising or disturbing. iv) Hoffmeier claims an Egyptian parallel with primordial “chaos,” but there’s nothing “chaotic” in Gen 1:2.
v) They mention the use of the potter/clay relation as a creative metaphor in Egyptians source. But pottery was such a widespread practice, including figurines, that we’d expect that to be a popular creative metaphor. But to say a god made man in the image of his flesh is antithetical to OT theism, with its essentially invisible deity. So that’s hardly comparable. vii) The “breath of life” is a very generic idea. That’s not unique to creation. How does one distinguish between life and death? In a prescientific culture, the way to tell if someone died was when they stop breathing. So breathing is synonymous with life while cessation of breathing is synonymous with cessation of life, or the antonym: death. Even now we use “expiration” as a synonym for death. That distinguishes Adam’s newly-minted “corpse” from Adam as a living creature. How else would the narrator draw that distinction when addressing an ancient audience? Moreover, the breath of life isn’t a metaphor, but a biological necessity. That really is a constitutive distinction. The Centre for the Study of Christian Origins will be sponsoring a Conference on Peter, July 4-6, 2013, at the University of Edinburgh, Scotland. The Peter in Earliest Christianity Conference will cover the topics of the historical Peter, Peter in Galilean and Roman Archaeology and Peter in the first three centuries. Speakers will include Timothy Barnes, Markus Bockmuehl, Sean Freyne, Larry Hurtado, Peter Lampe, Tobias Nicklas, and Margaret Williams. My understanding (from comments I’ve left on Dr. Hurtado’s blog) is that the papers from this conference will be published in a single work some time after the conference. That’s something to look forward to. Still, I dearly wanted to attend this conference, simply as a way of meeting some of the writers whose work I myself have been writing about these last few years. But my recent employment situation has suggested otherwise. Carson’s argument that you quote is that John’s Logos can’t be a reference to Philo’s Logos even though both represent an ideal man because Philo’s Logos never became incarnate. Carson is arguing that John was fully aware that he used the word, while knowing full well that he intended to co-opt it and affix the Old Testament meaning to it. But of course that is precisely the entire point of the Johanne prologue that the Logos became flesh and dwelt among us. That’s seems to be precisely what the Johanne community is claiming as their unique contribution. You’re making an assumption here, and that would be Bauer’s “thesis” about multiple origins and multiple Christianities. It seems as if you’re failing to take into account the work of Hurtado and others who do take the time to peg “orthodox Christianity” to a singular event, and then to trace it chronologically through the first century. 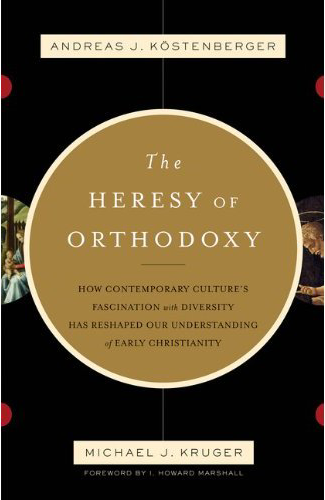 In fact, one of the key contentions that Kostenberger and Kruger make in their work “The Heresy of Orthodoxy” is that Bauer and his followers seem to have failed to take into account the whole first century. Certainly, in the second century, Christianity was in multiple locations, and its adherents were influenced by multiple kinds of influence. But that does not exclude that orthodoxy of the first century, and that orthodoxy in the first century is the downfall of Bauer. So I don’t see how that doesn’t prove derivation. It shows development from Philo, but that is to be expected. Philo is preaching Hellenistic Judaism, John is preaching some form of Christianity. Again, some early Christians may have had sensibilities that were influenced by Philo, but that does not exclude the “singular event” of the Resurrection that Hurtado writes about. One may trace a central orthodox doctrine, such as the deity of Christ, back in history in order to establish which group originated first and which one deviated from the other. Larry W. Hurtado, professor of New Testament Language, Literature, and theology at the university of Edinburgh, masterfully does this in his work Lord Jesus Christ: Devotion to Jesus in Earliest Christianity. In essence, Hurtado demonstrates the swiftness with which monotheistic, Jewish Christians revered Jesus as Lord. This early “Christ devotion,” which entailed belief in Jesus’ divinity, was amazing especially in light of the Jewish monotheistic belief that was deeply ingrained in Jewish identity, worship, and culture. The revolutionary nature of the confession of Jesus as Lord and God, especially in such chronological proximity to Jesus’ life, cannot be overstated. The study of early Christian worship of Jesus thus further confirms that heresy formed later than, and was parasitic to, orthodoxy…. Hurtado’s study of early Christian belief in the deity of Christ begins with Paul’s writings (limited to the “undisputed Pauline Epistles”) because they were written prior to other New Testament documents. On another side of the “orthodoxy” coin, I’ll say that writers like R.T. France (in his commentary on Mark), Richard Bauckham, and Martin Hengel trace “orthodox” doctrine to Peter and his eyewitness accounts of Jesus’s life. In fact, it is possible to trace Paul’s conversion to within a year of Jesus’s resurrection. There is not much space at all here between the life of Jesus Christ and “orthodoxy”. Again, I’ve relied on writers like Torrance and Cullmann to trace some of the initial heterodoxies in the writings of 1 Clement and some of the other Apostolic Fathers. AD 40s-60s: Paul writes letters to various churches; orthodoxy is pervasive and mainstream; churches are organized around a central message; undeveloped heresies begin to emerge. AD 60s-90s: the Gospels and the rest of the New Testament are written and continue to propagate the orthodoxy that preceded them; orthodoxy continues to be pervasive and mainstream; heresies are still undeveloped. 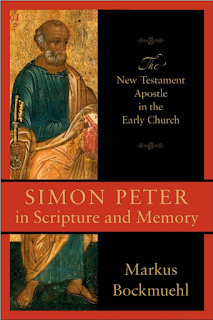 AD 90s-130s: the New Testament writers pass from the scene; the apostolic fathers emerge and continue to propagate the orthodoxy that preceded them; orthodoxy is still pervasive and mainstream; heresies begin to organize but remain relatively undeveloped. AD 130s-200s: the apostolic fathers die out; subsequent Christian writers continue to propagate the orthodoxy that preceded them; orthodoxy is still pervasive and mainstream, but various forms of heresy are found; these heresies, however, remain subsidiary to orthodoxy and remain largely variegated. AD 200s-300s: orthodoxy is solidified in the creeds, but various forms of heresy continue to rear their head; orthodoxy, however, remains pervasive and mainstream. Just because Philo was writing during that period, and just because some Christians may have been influenced by his thoughts and writings, doesn’t mean that there is any kind of “derivation” at all. So I’m basically not finding the argument all that convincing. To argue that John’s Logos had no connection with Plato we would want to see a much stronger conflict that just whether it was incarnate. A good example of what we would want to see is something like morality. The Good for Judaism is tied to ceremonial cleanliness , while Plato’s notion of the Good is tied back ultimately to Happiness. That’s a separate derivation and that’s the sort of thing you would want to see. So I don’t find Carson’s argument convincing. Aside from the fact that you got Carson’s argument wrong. Neither Carson nor the others I cited say “John’s Logos had no connection with Plato”. But John is most highly, most radically influenced by the notion that Christ (as God) is “God’s ultimate self-disclosure, the person of his own Son” (and this is the conclusion of Carson’s argument, which I cited in 194). I would disagree with the tie between Wisdom personified, Torah and salvation in the old testament. I don’t see that at all. I see his comment as a huge jump. There is no need to cement this “tie” because John’s primary referent, again, “God’s Word”, is directly tied to “God’s ultimate self-disclosure, the person of his own Son”. That was the overriding orthodoxy that John had in mind as he used this Greek word and concept.